Speaking about his mother, Billy Graham said, "Of all the people I have ever known, she had the greatest influence on me." As Christians, let us honor and treasure our mothers for the influence they have had in shaping our lives as believers. 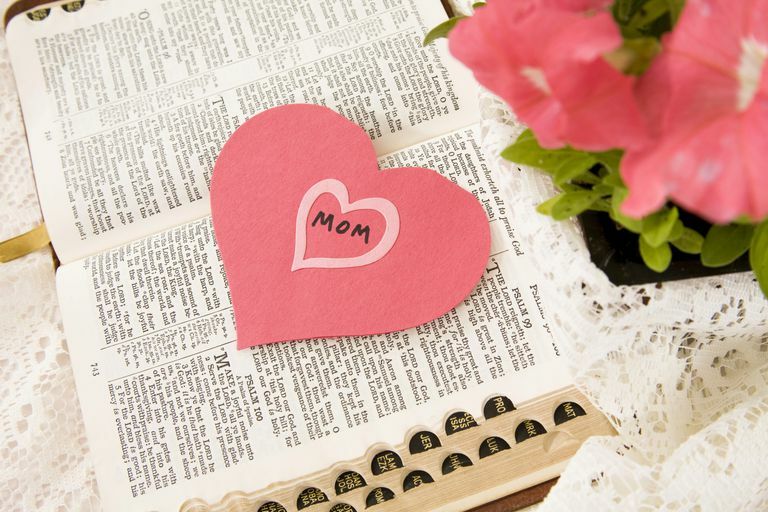 One way to bless your loving mom or godly wife this Mother's Day is to share one of these Bible verses about moms. A kind, encouraging mother has a tremendous effect on her child’s life. Mothers, more than fathers, are sensitive to the hurts and slights a child encounters growing up. They have the power to remind that the love of God heals all wounds. They can instill in their child the solid values of Scripture, truths that will guide him or her into being a person of integrity. The Ten Commandments include a special order to honor our father and mother. God gave us the family as the building block of society. When parents are obeyed and respected, and when children are treated with love and discipline, society and individuals prosper. God is the Creator of life. He decrees that life should be cherished, from conception to its natural end. In his plan, motherhood is a special gift, a cooperation with our Heavenly Father to bring forth his blessing of life. None of us is a mistake. We were wonderfully formed by a loving God. In our upside-down society, cutthroat businesspeople are often respected, while stay-at-home mothers are belittled. In God’s eyes, however, motherhood is a high calling, a vocation he esteems. It is better to gain the respect of God than the praise of men. Wisdom comes from God; foolishness comes from the world. When a woman founds her household on the Word of God, she lays a foundation that will last forever. In contrast, a woman who follows the morals and fads of the world chases after nonsense. Her family will fall apart. God established marriage in the Garden of Eden. A wife in a happy marriage is thrice-blessed: in the love she gives her husband, in the love her husband gives her, and in the love she receives from God. What is a woman’s greatest accomplishment? To build Christlike character. When a wife or mother shows the compassion of our Savior, she raises up those around her. She is a helpmate to her husband and an inspiration to her children. To reflect the qualities of Jesus is far better than any honor the world could bestow. His disciples abandoned him. The crowds stayed away. But at the disgraceful, criminal’s execution of Jesus, there stood his mother Mary, true to the end. She was proud of her son. Nothing could keep her away. Jesus returned her love by providing for her care. After his resurrection, what a happy reunion it must have been, a mother’s and son’s love that would never end.